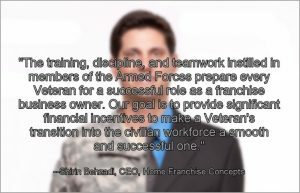 Home Franchise Concepts (HFC) has long been supportive of Veterans becoming independent franchise business owners. 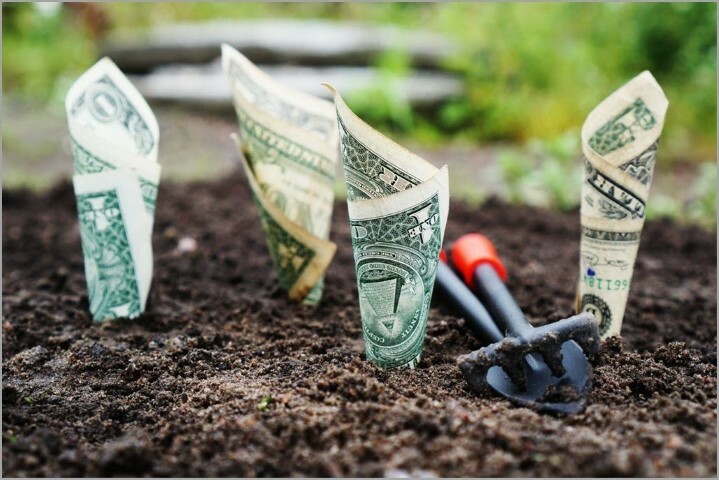 Throughout 25 years of franchising and growing an international franchise network that includes four award-winning brands, HFC has continually offered significant discounts to assist Veterans who want to own their own business. It’s a tangible way to say, “thank you,” and support armed forces Veterans in the U.S. and Canada by helping them achieve financial independence and career satisfaction through franchise business ownership. A franchise business opportunity may be the perfect career solution to apply and benefit from all that training and knowledge. After years of working with many successful Veteran franchise business owners, HFC has been able to define those skills that come out of a military background that specifically contribute to success as a franchise business owner. Leadership Skills: Strong leadership skills are practically a given for someone exiting the service. Years of running day-to-day operations and hiring, training and managing staff makes leading a team in business easier. 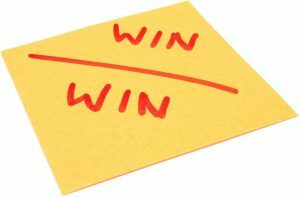 Respect for the System: Ability to work within a prescribed system and follow protocols is part of the military mindset, and this translates well to working within a franchise system. 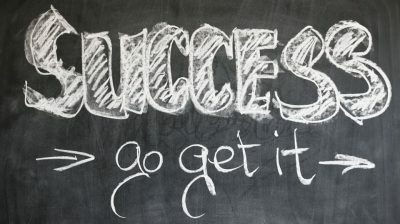 Follow the proven business model and trust the fail-safe support system, designed for success. Teamwork: Teamwork is the hallmark of military life, being part of a team and relying on other teams. As a franchise owner, there is the Home Office team support, the entire network of franchisees across four brands, and a hand-picked team of employees. Self-discipline: The self-discipline mastered in the military focuses on the clear goal ahead and a “mission-first” mentality powers through whatever challenges come along. Time Management: Military training teaches time management skills that will help a franchise business to flourish, getting done each day what needs to be done. HFC’S four franchise brands, Budget Blinds®, Tailored Living®, Concrete Craft®, and AdvantaClean®, all appreciate how the attributes of service, dedication, and resilience learned in the military serve a Veteran well in building his or her own business. That’s why each brand strives to attract qualified Veterans by offering discounts to become independent franchise business owners. Budget Blinds – The largest window coverings franchise in North America, offering custom window coverings, including blinds, shades, shutters and drapery styles for residential and commercial customers, along with exclusive product lines, smart home automation, and home décor accessories like rugs and bedding. Check out the Veteran discount here. Tailored Living – Provides whole-home organization and innovative storage solutions for homes and businesses, including custom closet systems, home office design, garage cabinets, and industrial-strength PremierOne® garage flooring options. Tailored Living is the largest home organization franchise in North America. Check out the Veteran discount here. Concrete Craft – The only decorative concrete franchise offering concrete repair and restoration, vertical concrete resurfacing, faux stone stamped and hand-carved decorative concrete overlays, and custom concrete stain. Transform interior floors, patios, driveways, walkways, pool decks, and vertical surfaces for both residential and commercial properties. Check out the Veteran discount here. AdvantaClean — HFC’s newest franchise brand and one of the leading national franchised providers of light environmental restoration services, including mold removal, water damage restoration, Radon testing or mitigation, and HVAC air duct cleaning, making homes and businesses safer. Check out the Veteran discount here. If you’re looking for a franchise business opportunity that will let you take control of your life and build a secure financial future, Home Franchise Concepts is recognized within the franchising and military communities as extremely veteran-friendly, based on financial discounts and corporate policies that empower Veterans to become successful business owners. As an HFC independent franchise business owner, you become part of a nationwide network of individuals, like yourself, taking control of their own destinies. Go online to Home Franchise Concepts or call 1-800-420-5374 today to learn more about franchise business ownership and to determine which brand–Budget Blinds, Tailored Living, Concrete Craft or AdvantaClean–is the best fit for you.